I am so thrilled to announce that I was named Wedding Planner of the Year 2007 by the readers of Arizona Bride Magazine. Winners were announced at a special event hosted by Arizona Bride at The Wrigley Mansion on Tuesday, June 19. 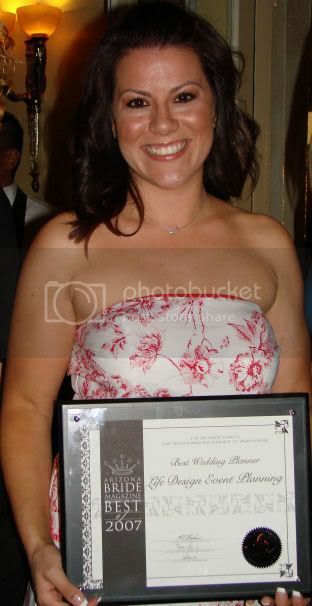 Nominees for Best Wedding Planner of 2007 included Victoria Canada Weddings & Events, I Do Wedding Consulting and Life Design Event Planning, with Life Design Event Planning taking home the nod. Life Design Event Planning is a full service wedding and event planning firm, offering clients experience and knowledge in the industry to create extraordinary events. From intimate sit down dinners, sweet sixteen parties and retirement parties to charity fundraisers, grand ballroom weddings and destination events, Life Design Event Planning is committed to memorable and immaculate occasions. For more information, please log on to www.lifedesignevents.com. Please excuse the construction on the web as we are doing some rebuilding. 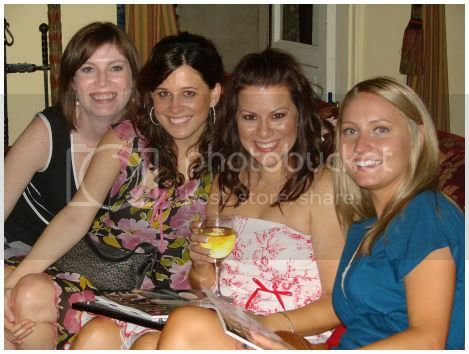 Also pictured above helping me celebrate are Liene Stevens of Blue Orchid Events, Mary Driscoll of My Wedding Film (nominated for Best Wedding Film), Cicely (me) and Krystal of Life Design Event Planning. Many Thanks to Rikki Hernanskey of The Invitation Lady (nominated for Best Wedding Invitations)for providing the pictures. Thanks Rikki!